Water Gremlin Company is the world's technological and market leader in lead battery terminals. Manufacturers rely on us to deliver consistent quality solutions through custom engineering, design, and automation. Water Gremlin Fishing sinkers are uniquely American-Designed and built to make fishing easier -- to help you catch more fish. 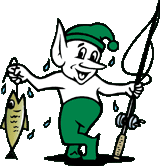 That's why they've been America's favorite fishing' sinker since 1949. Water Gremlin Aquila Company S.p.A. (European Division) and Water Gremlin Company (USA) are the industry leaders in the production of Lead terminals for automotive and industrial Lead Acid batteries. Water Gremlin is committed to supporting our global customers and is currently in the process of planning a factory in China. Check back for future updates.